I recall a story from an old leadership magazine I read that discussed Christian Growth. One of the stories that caught my attention was about a young man who worked in a store filled with aquariums. He said that the most popular fish among his patrons was the shark. 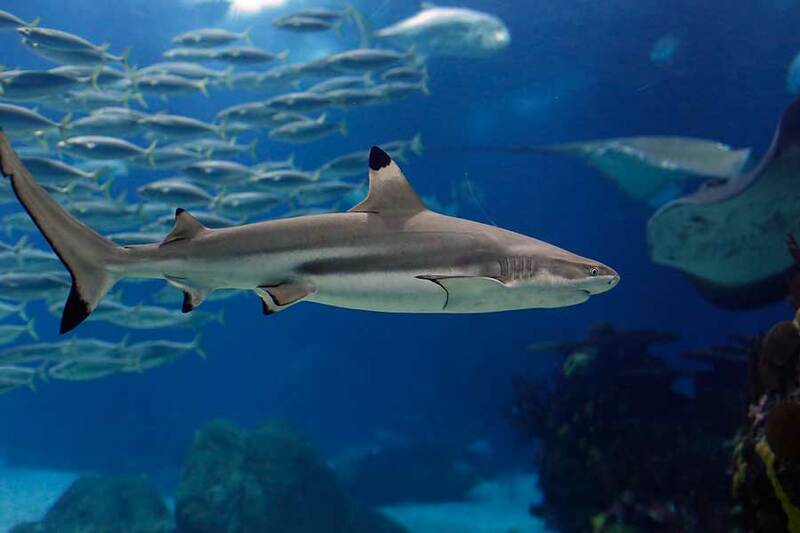 If you catch a small shark and confine it in an aquarium, it will stay a size proportionate to the aquarium. Sharks can be six-inches long yet fully matured. But if you turn them loose in the ocean, they grow to their normal length of eight feet and beyond. That also happens to some Christians. I’ve seen too many six-inch Christians who swim around in a little puddle called their home church. It is a comfortable setting of known individuals who share the same values and rarely challenge your faith. But if you put them into a larger arena – into the whole of creation — only then can they fully utilize their gifts and talents while being challenged by a diverse culture. The risk can be great but so are the spiritual rewards. We are His sons: “I will proclaim the decree of the Lord: He said to me, ‘You are my Son; today I have become your Father. Ask of Me, and I will make the nations your inheritance, the ends of the earth your possession.’” Psalm 2:7-8 (NIV) Think about it. We are children of the King and yet we sometimes act like we are powerless and without promise. We are His servants: “It is the Lord your God you must follow, and Him you must revere. Keep His commands and obey Him; serve Him and hold fast to Him.” Deuteronomy 13:4 (NIV) Mary, the mother of Jesus, had the right idea, “‘I am the Lord’s servant,’ Mary answered. ‘May it be to me as you have said.’ Then the angel left her.” Luke 1:38 (NIV) It’s an honor to serve our great God. We are His stewards: I don’t know about you, but the most important words I could ever hear from our God are the same ones Jesus gave to his disciples in a parable, “His master replied, ‘Well done, good and faithful servant! You have been faithful with a few things; I will put you in charge of many things. Come and share your master’s happiness!’” Matthew 25:21 (NIV) Taking care of those things God has placed in our care is critical. We show appreciation to God for His blessings by being good stewards. We are His soldiers: “You then, my son, be strong in the grace that is in Christ Jesus. And the things you have heard me say in the presence of many witnesses entrust to reliable men who will also be qualified to teach others. Endure hardship with us like a good soldier of Christ Jesus.” 2 Timothy 2:1-3 (NIV) My friends, put on the armor of God and fight the good fight. If ever there was a time to stand up for our faith and values, it is now. Have you claimed the promises of God? Your inheritance awaits you. You are a child of the King. Based on the Scripture passages you read above, what actions will you take today? When was the last time you encouraged someone who is struggling with life? Maybe sending this devotional on to them would remind them of God’s promises and love.